The micro-oscillations exfoliate and refine skin complexion. The brush is designed for weekly use and combines shorter bristles (8mm) for thorough cleansing and longer bristles (10mm) to swipe away dead skin cells. The two filament lengths help to retain your favorite gel for an efficient exfoliation treatment. It stimulates regeneration of new skin cells for a youthful appearance. I would definitely recommend this exfoliating brush. It is gentle and efficient and definitely kinder to my skin than my old manual exfoliating scrubbing. Brilliant results, my skins looks better, relaxed and smoother. 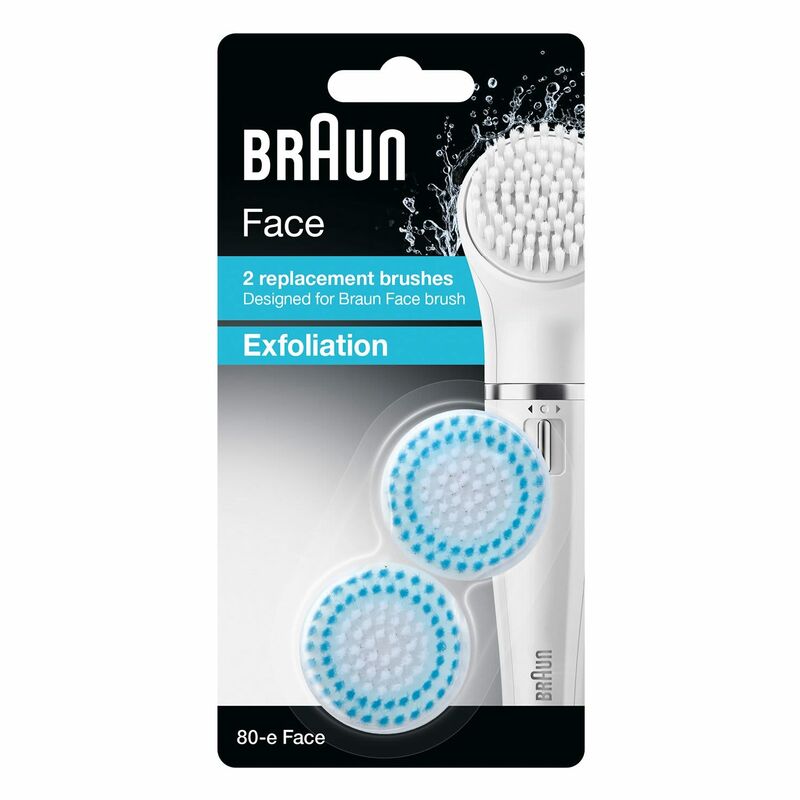 Pore deep cleansing and exfoliation <br> The micro-oscillations exfoliate and refine skin complexion. The brush is designed for weekly use and combines shorter bristles (8mm) for thorough cleansing and longer bristles (10mm) to swipe away dead skin cells. The two filament lengths help to retain your favorite gel for an efficient exfoliation treatment. It stimulates regeneration of new skin cells for a youthful appearance. <br> For optimal results and hygiene it is advised to replace the Brush head every three months. It comes as a duo pack, so you are equipped for a full 6 months.